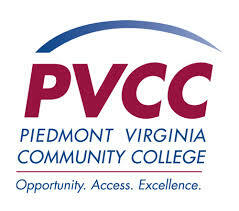 Piedmont Virginia Community College (PVCC) is a nonresidential two-year institution of higher education that serves Central Virginia - principally residents of the City of Charlottesville and the counties of Albemarle, Buckingham, Fluvanna, Greene, Louisa and Nelson. We are one of 23 community colleges in Virginia that comprise the Virginia Community College System (VCCS). Our scenic campus is located in Albemarle County, Virginia. Classes are also offered at the PVCC Eugene Giuseppe Center in Stanardsville (Greene County) and the PVCC Jefferson School Center in downtown Charlottesville.PVCC's impact on Central Virginia has been immense since our establishment in 1972:An estimated 200,000 students have taken credit and noncredit classes at PVCC.PVCC has awarded over 10,700 associate degrees and certificates.Each year, more than 500 students transfer from PVCC to a four-year college or university to pursue a bachelor's degree. To date, more than 2,400 students have transferred to the University of Virginia.More than 1,400 of our nursing students have become registered nurses with most working all or part of their career in our service region.Businesses throughout Central Virginia also rely on our graduates to provide a skilled workforce.PVCC is committed to providing access to a college education for all who can benefit, an opportunity for each student to reach his or her potential and excellence in our programs and services.